Stick It Mist Spray Adhesive dries fast, clear and strong. A single coat allows fast position tack for light scenery such as ground foams, SuperTurf, WildGrasses, Foliage Clusters, dead fall, lichen and Wild Bushes. STICK IT is great for fast position of backdrops. For permanent adhesion, coat both sides of the backdrop and press together. STICK IT is for permanent and repositional bonds. 16.25 oz. can! 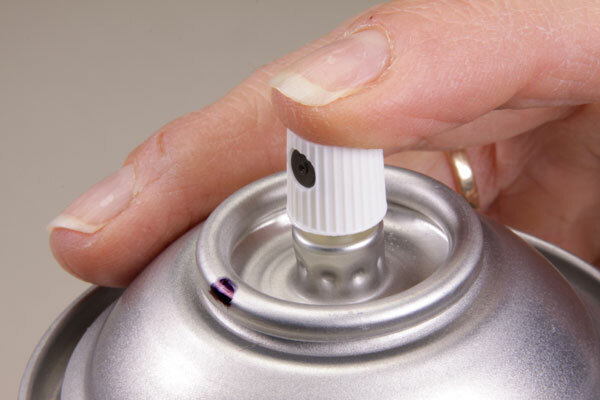 Ever wonder why there is a 'Black Dot' on most spray cans? The 'black dot' is to indicate the direction of the curved feeder hose in the can. By pointing the pray nozzle in the direction of the black dot will assure you that you are getting all your precious paint or glue out of the can. Nearing the end of the can you will naturally tilt the can towards the direction of the black dot. 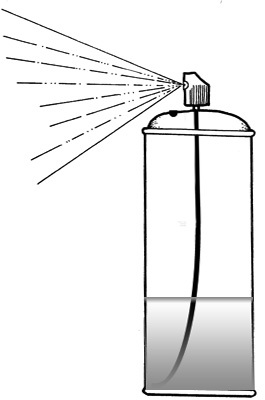 Gravity will flow the paint or glue to the same direction of the hose end. **Please Note: This item is prohibited from shipping to countries outside the U.S.A..